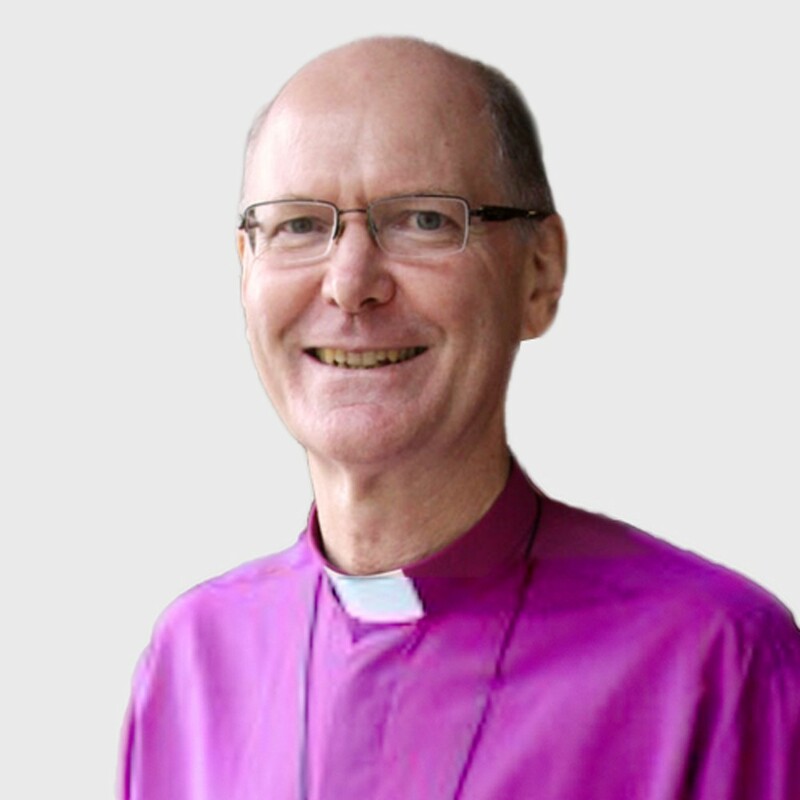 Jonathan is currently engaged in writing the biography of Bishop Philip Strong, a missionary bishop of Papua New Guinea (1936-1962) and Archbishop of Brisbane (1963-1970). He is also preparing a chapter for a book on the theological training and formation of clergy in Queensland since the mid-19th century. Jonathan has an ongoing interest in the relationship between society and church. Mark: my words, co-editor of a set of reflections on Mark’s Gospel as a Lenten book. Passion for Nothing: Kierkegaard’s Apophatic Theology. Fortress Press, 2017. “Apophasis and Abasement: Writing Jesus with Soren Kierkegaard and Craig Keen,” in Whistling in the Dark: Of the Theology of Craig Keen. Co-edited by Janice McRandal and Stephen John Wright. Eugene: Cascade, Forthcoming. “Imaging Nothing: Kierkegaard and the Imago Dei,” Anglican Theological Review. Fall 2018. “’You Wonder Where The Spirit Went’: Barth and Jenson on the Hiddenness of God,” in Barth in Conversation, Eugene, OR: Wipf & Stock, 2014. “Absolute Action: Divine Hiddenness in Kierkegaard’s Fear and Trembling,” Modern Theology. July, 2012. “Christ-Haunted Ohio: The Spiritual and Theological Vision of Over the Rhine,” Koinonia. 2012. “Participation in God and the Nature of Christian Community: Robert Jenson and Eberhard Jüngel,” International Journal of Systematic Theology. 2011. Honours dissertation: The emergence of Hebrew-English lexicons: From Udall to Parkhurst. (Bachelor of Theology Honours Thesis), Charles Sturt University, Canberra. Doctoral Thesis: Hebrew-English Lexicons of the British Isles: From John Parkhurst (1762) to Benjamin Davies (1872). (PhD), Charles Sturt University. Current research: The history of Hebrew-English lexicons in America, the Hebrew-English lexicons of the twentieth century and today, the most influential pre-modern Hebrew-Latin lexicons. Pioneers and ‘no through roads’: The story of the early Hebrew-English lexicons. In J. Loopstra & M. Sokoloff (Eds. ), Foundations for Syriac Lexicography V: Colloquia of the International Syriac Language Project (pp. 21-42). Piscataway, NJ: Gorgias Press, 2012. Lexicography: Pre-Modern Period. In G. Khan, S. Bolokzy, S. E. Fassberg, G. A. Rendsburg, A. D. Rubin, O. R. Schwarzwald & T. Zewi (Eds. ), Encyclopedia of Hebrew Language and Linguistics (Vol. 2, pp. 514-520). Leiden: Brill, 2013. Take one Hebrew lexicon, add fresh theology and mix well: The impact of theology on Hebrew-English lexicons. In R. A. Taylor & C. E. Morrison (Eds. ), Reflections on Lexicography: Explorations in Ancient Syriac, Hebrew, and Greek Sources (pp. 147-210). Piscataway, NJ: Gorgias Press, 2014. Jon Inkpin is from the north-east of England and has worked in several different capacities (including in theological education, community development, peace and reconciliation, interreligious dialogue and environmental mission), at local, regional and national levels. An historian, theologian, social ethicist, and border crossing activist, she is currently particularly engaged in issues of interreligious challenge, Australian Reconciliation, and gender & sexuality. I have a lifelong interest in Christianity and its relationships to identity, difference, and social & political change. Current principal issues are Australian Reconciliation (working towards a book: Beyond Apology: a whole body theology of Reconciliation), gender & sexuality, and inter-religious relationships. I am also seeking time to research further a 17th Anglican priest ancestor who survived as an English parish priest throughout the extraordinary turbulent years and changing politics of the 1630s-1660s. Religion and Violence, editor, and chapter: ‘Towards a Global Ethic of Peace and Reconciliation’, ATF Press, Adelaide, 2007.
Review of James W. Jones, Blood that Cries Out from the Earth: The Psychology of Religious Violence, Journal of Anglican Studies, Volume 7, Special Issue 02, Nov 2009.
with G.Mundine:, ‘The Lazarus Demand – Overcoming Indigenous Poverty: A Biblical Reflection on John Ch.11’, Australian e-Journal of Theology, Feb 2006. ‘Jesus and Gender’, Movement for the Ordination of Women, London, UK, 1990 & 2002. ‘Tender Comrade: Jesus and Masculinity’, Southwell and Oxford Papers, Oxford, 1989.
co-producer, with G. Russell-Mundine, and G. Mundine: Make Indigenous Poverty History – CD-ROM resource, NATSIEC/NCCA, Sydney, 2006. Seeds of Peace – stories of Australians transforming violence – CD resource, NCCA, 2005. Whispers of Peace – enhanced double CD of songs & sheet music for the Decade to Overcome Violence, NCCA, Sydney, 2004. Five Bible Studies for the Decade to Overcome Violence, NCCA, Sydney, &, with E. Ninnes, Cultivating Peace: resources for the Decade to Overcome Violence, NCCA, 2003. One People, Many Religions – video resource, Gateshead Council, UK, 1994. With over thirty years experience in Parish ministry, theological education, school chaplaincy and spiritual direction, Penny works as the Director of Formation for St. Francis College and as Priest-in-Charge of the Parish of Auchenflower-Milton. 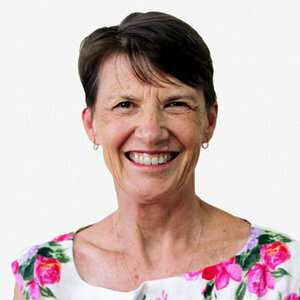 She is passionate about forming clergy whose faith is vibrant, whose ministry engaged with their local context and whose lives model what it means to follow Christ in post-modern Australia. Penny is trained in spiritual direction from a contemplative perspective and seeks to train contemplative leaders for today's church. Penny's research interests are around the interface of spirituality with the Theology of the Body on which she wrote a recent dissertation. With extensive experience in parish development, youth ministry and state school chaplaincy, Jonathan Sargeant works as Lay Education Officer for the Ministry Education Commission. A trained teacher, youth and children’s worker and lay minister, he has been working with parishes and schools in education for more than 25 years. For his Masters he specialised in the intersection of faith and popular culture, as well as analysing curricula materials for religious education. He co-authored the best-selling Religious Education Teachers Orientation Program for State Schools, as well as The Guide for Religious Education Teachers and The R2 Program, a professional development kit for RE teachers in Anglican Schools now widely used in Australia and New Zealand. Most recently, he has created the FAISS Program, an intensive course in Anglicanism which he facilitates for Anglican Schools and agencies. He is currently invloved in the transformation of this program into an on-line entity. Jonathan is currently engaged in doctoral research into cinematic depictions of God and what these may mean for the Church. How these depictions have developed historically and the ensuing implications for missiology will be at the forefront of such research. Jonathan has an ongoing interest in Australian cultures and the work of the church in engaging with them; both in listening to, and speaking with these cultures. The significance for contemporary theology of a range of postmodern social and linguistic theories. Free, Marian, Gill, Rosemary, Holland, Jonathan, and Mainstone (Eds) That our Joy May be Complete. Adelaide: Open Book Publishers, 2000. Free, Marian. “Paul’s inclusive Gospel.“ in Pieces of Ease and Grace. Ed. Alan H. Cadwallader. Adelaide: ATF Theology. 2013,135-150. Free, Marian. “Liturgy and the Bible.” in The Once and Future Scriptures. Ed. Gregory C. Jenks. Oregon: Polebridge Press, 2013, 95-112. Free, Marian. “Encountering God in the Letters of Saint Paul.” in Encountering God: Face-to-face with the Divine. Ed Nigel Leaves, Victoria: Morning Star Publishing, 2014, 53-70. Ordained 2000, parish ministry in Melbourne and on the Sunshine Coast. University lecturer in psychology and theology. Psychologist, working with intellectually disabled and highly gifted children, and in grief counselling. Hell’s Destruction. An Exploration of Christ’s Descent to the Dead. Farnham, England: Ashgate, 2013. ‘Death and our Ultimate Destiny’ in P. Tolliday & H. Thomson (eds), Speaking Differently. Essays in Theological Anthropology. Canberra: Barton Books, 31-47, 2013. ‘Behold an Israelite in Whom There is No Guile’, in I. Weeks & D. Reid (eds), A Thoughtful Life. Essays in Philosophical Theology: A Festshrift for Rev Professor Harry Wardlaw, Adelaide: ATF Press, 239-254, 2006. ‘The Farewell Discourse in John’s Gospel as a Commentary on the Seder Service.’ Colloquium, 27, 147-160, 1995. ‘Do We Call You ‘Mother’? Reflections on a Year with a Woman Vicar.’ Ministry Society and Theology, 8 (2), 68-70, 1994. But What If She'd Said 'No'? Backstories to the Bible. Melbourne: Morning Star, 2018. Contested Theology: bodies, sport, and motion. Minneapolis: Fortress Press, forthcoming 2018. Whistling in the Dark: on the theology of Craig Keen, co-edited with Stephen John Wright. Eugene: Wipf & Stock, forthcoming 2018. Sarah Coakley and the Future of Systematic Theology, Minneapolis: Fortress Press, 2016. Christian Doctrine and the Grammar of Difference: a contribution to feminist systematic theology. Minneapolis: Fortress Press, 2015. “Introduction”. In Whistling in the Dark: on the theology of Craig Keen, co-edited with Stephen John Wright. Eugene: Wipf & Stock, forthcoming 2018. “Risky Words, Dissenting Bodies”. In Whistling in the Dark: on the theology of Craig Keen, co-edited with Stephen John Wright. Eugene: Wipf & Stock, forthcoming 2018. “Embodied Gods: Anthropomorphism and Subjectivity”. In Macmillan Interdisciplinary Handbooks: Gender -‘God’ Edited by Sîan Hawthorne, forthcoming 2018. Introduction “Being George Eliot: an impossible standpoint?” ”. In Sarah Coakley and the Future of Systematic Theology. 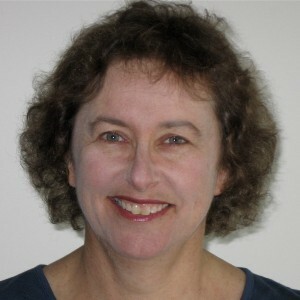 Janice McRandal, editor. Minneapolis: Fortress Press, 2016. “On Power and Silence: Reading Foucault with Coakley”. In Sarah Coakley and the Future of Systematic Theology. Janice McRandal, editor. Minneapolis: Fortress Press, 2016. “Gender: Difference, Sin and the Trinity”. In Speaking Differently: Essays in Theological Anthropology. Phillip Tolliday and Heather Thomson, eds. Canberra: Barton Books, 2013. “Subject to Spirit: The Promise of Pentecostal Feminist Pneumatology and Its Witness to Systematics”. In Pneuma 35:1 (2013), pp 48-60. “A Free Man’s World: Open Theism and the Feminist Critique of Autonomy”. In Aldersgate Papers 9 (2011). “Sarah Coakley: Systematic Theology and the Future of Feminism”. In Pacifica 24:3 (2011), pp. 300-314. “Struggled For and Not Possessed: Language for the Divine and the Apophatic Turn”. In St Mark’s Review 215 (2011), pp. 71-86. Arguments from Order in Synoptic Source Criticism: A History and Critique. New Gospel Studies 7. Macon, GA: Mercer University Press, 1994. Mark’s Gospel—Prior or Posterior? A Reappraisal of the Phenomenon of Order, JSNTSS 222. Sheffield: Sheffield Academic Press, 2002. A Peaceable Hope: Contesting Violent Eschatology in New Testament Narratives. Grand Rapids, MI: Baker Academic, 2013. The Vehement Jesus: Grappling with Troubling Gospel Texts. Eugene, OR: Cascade Books, 2017. Editor, Prophecy and Passion: Essays in Honour of Athol Gill. Adelaide: Australian Theological Forum, 2002. Co-editor, with Philip Matthews, Faith and Freedom: Christian Ethics in a Pluralist Culture. Adelaide: ATF Press, 2003. Co-editor, with Bruce Barber, Theodicy and Eschatology. Adelaide: ATF Press, 2005. Co-editor, with Keith Dyer, Resurrection and Responsibility: Essays on Theology, Scripture, and Ethics in Honor of Thorwald Lorenzen. Eugene, OR: Pickwick Publications, 2009. Co-editor, with Jione Havea and Elaine Wainwright, Bible, Borders, Belonging(s): Engaging Readings from Oceania. Semeia Studies 75. Atlanta: Society of Biblical Literature, 2014. Editor, The Bible, Justice and Public Theology. Sheffield: Sheffield Phoenix Press; Eugene, OR: Wipf & Stock, 2014. “King, Merton and Barth: Their Abiding Significance,” in Faith and Freedom: Christian Ethics in a Pluralist Culture, edited by David Neville and Philip Matthews (Adelaide: ATF Press, 2003), 95–125. “God’s Presence and Power: Christology, Eschatology and ‘Theodicy’ in Mark’s Crucifixion Narrative,” in Theodicy and Eschatology, edited by Bruce Barber and David Neville (Adelaide: ATF Press, 2005), 19–41. “The Demise of the Two-Document Hypothesis? Dunn and Burkett on Gospel Sources,” Pacifica 19/1 (February 2006): 78–92. “The Second Testament as a Covenant of Peace,” Biblical Theology Bulletin 37/1 (Spring 2007): 27–35. “Moral Vision and Eschatology in Mark’s Gospel: Coherence or Conflict?” Journal of Biblical Literature 127/2 (Summer 2008): 359–84. “The Phantom Returns: Delbert Burkett’s Rehabilitation of Proto-Mark,” Ephemerides Theologicae Lovanienses 84/1 (April 2008): 135–73. “Dialectic as Method in Public Theology: Recalling Jacques Ellul,” International Journal of Public Theology 2/2 (2008): 163–81. “Justice and Divine Judgment: Scriptural Perspectives for Public Theology,” International Journal of Public Theology 3/3 (2009): 339–56. “Grace Elicits Correspondences: The Christian Theologian as Peacemaker,” in Embracing Grace – The Theologian’s Task: Essays in Honour of Graeme Garrett, edited by Heather Thomson (Canberra: Barton Books, 2009), 119–34. “Creation Reclaimed: Resurrection and Responsibility in Mark 15:40–16:8,” in Resurrection and Responsibility: Essays on Theology, Scripture, and Ethics in Honor of Thorwald Lorenzen, edited by Keith D. Dyer and David J. Neville (Eugene, OR: Pickwick Publications, 2009), 95–115. “Faithful, True, and Violent? Christology and ‘Divine Vengeance’ in the Revelation to John,” in Compassionate Eschatology: The Future as Friend, edited by Ted Grimsrud and Michael Hardin (Eugene, OR: Cascade Books, 2011), 56–84. “Christian Scripture and Public Theology: Ruminations on their Ambiguous Relationship,” International Journal of Public Theology 7/1 (2013): 5–23. “Calamity and the Biblical God—Borderline or Line of Belonging? Intratextual Tension in Luke 13,” in Bible, Borders, Belonging(s): Engaging Readings from Oceania, edited by Jione Havea, David J. Neville, and Elaine M. Wainwright (Atlanta: SBL, 2014), 39–55. “The Bible, Justice and Public Theology: An Introductory Essay,” in The Bible, Justice and Public Theology, edited by David J. Neville (Sheffield: Sheffield Phoenix Press, 2014), 1–21. “Parable as Paradigm for Public Theology: Relating Theological Vision to Social Life,” in The Bible, Justice and Public Theology, edited by David J. Neville (Sheffield: Sheffield Phoenix Press, 2014), 145–60. “Toward a Hermeneutic of Shalom: Reading Texts of Teleological Terror in Peace Perspective,” Word & World: Theology for Christian Ministry 34/4 (2014): 339–48. “Love of Enemies, New Testament,” commissioned for the Encyclopedia of the Bible and Its Reception, forthcoming in 2018/19. “Like Lightning? Luke 17:22–37 Revisited in Interfaith Perspective,” in Things the Make for Peace: Traversing Text and Tradition in Christianity and Islam, edited by Anthony Rees, forthcoming from Lexington Books in 2019/20. “Colour and Criticism: Light on the Gospels,” St Mark’s Review, No. 195 (2004): 29–36. “C. S. Lewis and Christian Pacifism,” in Faith and Freedom: Christian Ethics in a Pluralist Culture, edited by David Neville and Philip Matthews (Adelaide: ATF Press, 2003), 205–216. “Jesus’ Vision of God’s Fair Reign,” in “Into the World You Love”: Encountering God in Everyday Life, edited by Graeme Garrett (Adelaide: ATF Press, 2007), 36–49. “The Bible as a Public Document: A Perspective on the Contribution of Anglicanism,” St Mark’s Review, No. 203 (2007): 35–45. “Violating Faith via Eschatological Violence: Reviewing Matthew’s Eschatology,” in Validating Violence – Violating Faith: Interfaith Perspectives on Religious Violence, edited by William Emilsen and John Squires (Adelaide: ATF Press, 2008), 95–110. “‘The Spirit of the Lord is upon me’: Preaching from Luke in Year C,” St Mark’s Review, No. 213 (2010): 57–70. “Things new and old: Preaching from Matthew in Year A,” St Mark’s Review, No. 216 (2011): 25–41. “The way of the Lord: Preaching from Mark in Year B,” St Mark’s Review, No. 219 (2012): 17–34. “The Spirit of promise: Preaching from Acts,” St Mark’s Review, No. 223 (2013): 51–66. “The moral vision of Jesus in Matthew 5,” St Mark’s Review, No. 227 (2014): 46–61. Many of the journal articles and book chapters listed above were first presented as conference or seminar presentations. I have presented conference papers at the international Society for the Study of the New Testament annual conference and also at both the annual and international Society of Biblical Literature meetings. In 2010 I was invited to deliver the opening plenary address at the second Global Network for Public Theology triennial consultation, and I have also presented conference papers at the annual Australian and New Zealand Association of Theological Schools (ANZATS). I regularly write critical reviews of recently published books in biblical studies and theology, ranging in length from 1,000 to 3,000 words. Since becoming an adjunct academic staff member with CSU, I have published thirty critical book reviews in a range of journals, including the widely consulted online Review of Biblical Literature (the book review forum of the Society of Biblical Literature). Suzanne Watts Henderson, On-line review of Mark’s Gospel—Prior or Posterior? A Reappraisal of the Phenomenon of Order by David J. Neville, Review of Biblical Literature (November 2003). Delbert Burkett, “The Return of Proto-Mark: A Response to David Neville,” Ephemerides Theologicae Lovanienses 85/1 (April 2009): 117–34. No fewer than twelve reviews in academic journals of A Peaceable Hope: Contesting Violent Eschatology in New Testament Narratives (Baker Academic, 2013). implications for interpreting 1 John. Raymond Brown, An Introduction to the Gospel of John, New York, Doubleday, 2003 in Uniting Church Studies 11 (2005): 69-71. Malcolm Coombes, “A Different Approach to the Structure of 1 John,” Australian eJournal of Theology, 14 (2009).